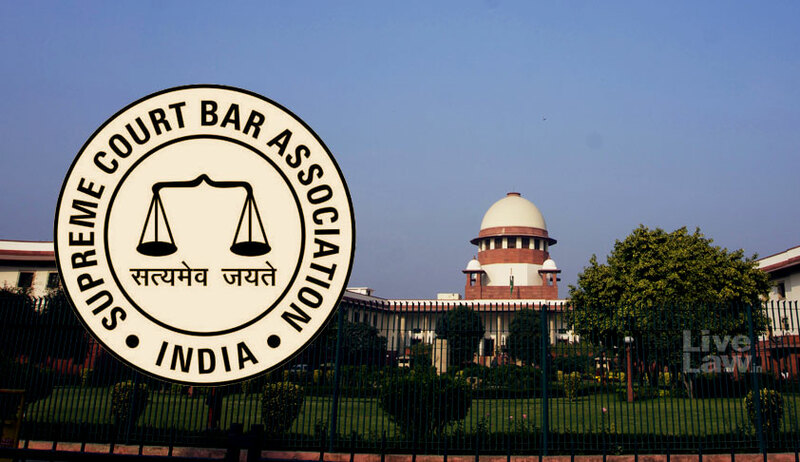 The rift within the Supreme Court Bar Association (SCBA) seems to be widening over the years. It has almost become a tradition in the last few years that the relationship among the elected representatives of SC Bar Association is not cordial. And the situation doesn’t seem to be bettering. The latest controversy is regarding the decision for “removal of the President” of SCBA by a majority of executive committee members on 01-05-18. The executive committee was in fact convened to discuss the holding of an extra ordinary general meeting of SCBA as per the requisition, signed by 181 members, that was submitted on 27-04-18. The lawyers had submitted the requisition calling for an extra ordinary general meeting (EOGM) demanding that the SCBA should condemn the government’s decision of non-inclusion of Justice KM Joseph for elevation to the Supreme Court. The advocates welcomed the selection of Ms. Indu Malhotra, a distinguished member of SCBA, as a judge of the Supreme Court. However they demanded condemning of the approach of the Central Government and to call upon the Supreme Court to take appropriate steps to restore the independence of judiciary. After the executive committee meeting on 01- 05-18, the President of SCBA issued a letter to the general body members throwing light on the intense incompatibility. In his letter, the President has made allegation that the executive committee members were not finding time to read the writ petition (seeking appointment of SCBA advocates to the High Court) which was one of the important items in the agenda of the SCBA. The letter further states that it came to the knowledge of the President on 01- 05-18 that after he left the executive committee meeting, a resolution was passed “removing” him from the post of the President of SCBA. He specifies in the letter that the ‘resolution’ removing him was passed after the agenda of the day’s meeting was concluded. It was decided that a notice will be issued to the SCCONLINE to stop publishing SCBA Times henceforth. This was to avoid dissemination on wrong information to the bar. The decision was taken in the wake of the strong displeasure on the alleged autocratic approach of the President. According to the minutes circulated by the majority of the members (15:3), the EC has expressed strong displeasure against the incorrect and unauthorized information given by the President to the media contrary to the decisions of the EC meeting. This amounted to disrespecting and undermining the unanimous view of the EC as well as breach of trust. The President thereafter walked out of the meeting. It is stated in the minutes that to avoid explaining such charges, the President had previously also walked out of the meeting. In his absence, Shri Sukumar Pattjoshi, Vice President was asked to preside over the meeting, which he did. The EC noted with grave concern that Mr. Vikas Singh, President has committed breach of his office by making statements in the Press/Media contrary to the views of EC. The EC further notes that notwithstanding the decision of the last EC Meeting dated 23.04.2018 that all Public Statements and correspondence of SCBA shall be under the signature of the Hony. Secretary, the President continued to issue communication/ correspondence on behalf of the SCBA without consulting the EC. It was decided to add this in the agenda placed before the General Body Meeting to be held on 7th May, 2018. In the meantime, another confusion is being created by certain members of the Association, who are opposing the extra ordinary General Body Meeting. A rumour is spread that signatures of the members were being misused and an impression was given as if the signatures were for staying the warrant of Justice Indu Malhotra. It is being stated that Senior Advocate Indira Jaisingh had mentioned about the signature collection while she mentioned her writ petition before the Chief Justice, the day before the swearing in ceremony of Justice Indu Malhotra. Later Jaising herself clarified in her tweet that the mentioning was for filing an independent Writ Petition and she had no prayer for staying the warrant of appointment of Justice Indu Malhotra. Jaising later confirmed to LiveLaw that she herself being one of the signatories for extra ordinary GBM, the misunderstanding is baseless as the writ petition and the extra ordinary general body meetings are two independent issues. In fact Ms Jaisingh while mentioning before the Chief Justice incorrectly stated that 100 members have signed a petition for staying the warrant of Justice Malhotra. However the SCBA members who started the campaign told LiveLaw that the signatures of the 100 members were not for staying the warrant of Justice Malhotra but for calling a GBM of the SCBA to discuss the selective approach of the Executive. Many senior members of the Bar, Live Law spoke to were unhappy with the fact that their signatures for a GBM was being portrayed as if they were asking for a stay of the warrant of Justice Malhotra.